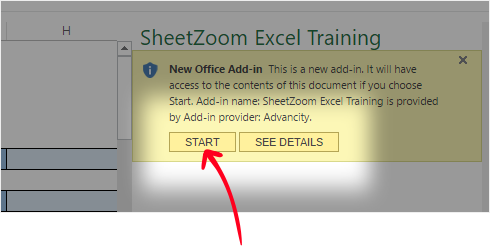 To enable please start the Add-in by clicking on the START button when your training starts. shine like an office star. and it is fun, hands-on and teaches fast. All exercises are done using the actual Excel software covering all daily used formulas. 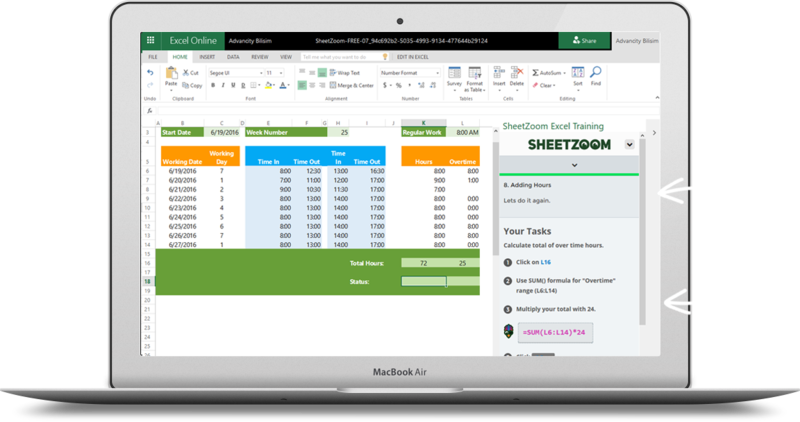 You don't need to have Excel installed, just login to the Sheetzoom. All exercises are done using the actual Excel software. Available in browser or your Excel 2016 desktop application. Join our club of happy learners and start your journey to become an Excel ninja! Join free for now and get complimentary courses and exercises.